Relationships are, essentially, what make the world go round. They have to be good relationships and cultivating these is difficult enough. One of the most testing relationships to maintain is between two lovers. Keeping the same level of excitement, passion and respect is a tough business and has driven many people (if not all of us) slightly mad. Sitcom couples aren't immune to this, but they always seem to make it there in the end. Of course, they have to make it there or basic sitcom setups fall flat on their face. Imagine if Sybil left Basil halfway through the first series of Fawlty Towers. It would be - and excuse my French - bloody boring. However, the early 90s saw a sitcom hit the air which examined all our fears about two lovers drifting apart, so lets take a look at Conjugal Rites. 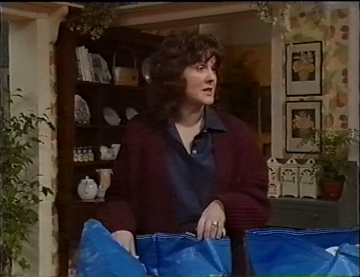 Gen (Gwen Taylor) and Barry Masefield (Michael Williams) are the epitome of a middle class and middle aged couple. A solicitor and dentist respectively, they inhabit a detached house somewhere in London that is home to them, son Phillip (Stephen Moyer), daughter Gillian (Cordelia Bugeja), Grandad (Alan MacNaughton) and, of course, a dog. On the surface, it all sounds like standard sitcom territory. There's the expected plotlines following the exploits of randy, forgetful Granddad and also the randy, rebellious teenage children. At the core of the show though is the chronic breakdown of Gen and Barry's marriage. No longer the fun time couple they once were, they're beginning to lead different lives in different directions. Conjugal Rites started life as a stage play written by Roger Hall and first performed in 1991. Curiously, Gwen Taylor was also to be found in this original version, but the Barry role was taken by Nicky Henson. 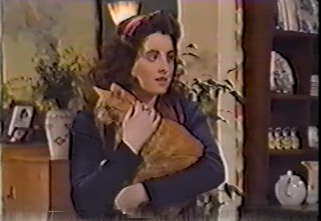 The TV adaptation by Granada was comprised of thirteen episodes spread over two series between 1993 - 94. 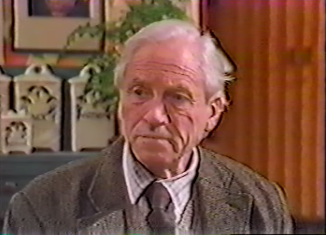 Roger Hall was on board to expand the characters of his play and directing the whole affair was Mike Vardy. 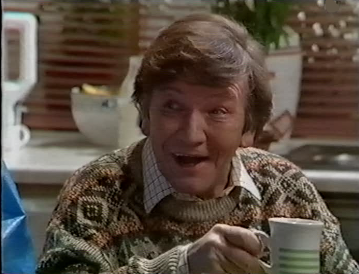 Other notable actors who popped up during the series included Christopher Ellison, the voice talents of Warren Clarke as Toby the dog and an early role for the 17 year old James Lance. The press were not particularly kind towards the show. The Independent found both series outdated, unoriginal and their overall impression of it was: "It stinks.". The public, however, were more kind and the first series averaged around 10 million viewers. Today, that type of viewing figure would be highly respectable due to the multichannel world we live in. 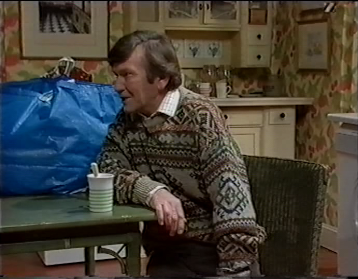 Even back in 1994 it wasn't too bad, Coronation Street was hitting between 14 - 16 million viewers in that period. Despite the successful figures, there was never a commercial release of the series. 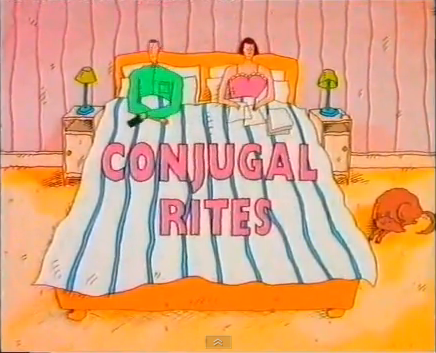 Curious British Telly were fans of Conjugal Rites when it first aired and it was always one of our picks of the week. It always brings to mind memories of golden spring evenings when life was simple and we were still larking about at primary school. Having not seen the show since those halcyon Friday nights of nearly 20 years ago, we couldn't remember too much about Conjugal Rites. We recalled it being a cosy sitcom where Gen and Barry seemed to be in bed in their pyjamas all the time. The theme tune - sung by Gwen Taylor and Michael Williams - was also lodged in our mind. Comedy doesn't always age well and, after reading The Independent's reviews, we began to wonder if Conjugal Rites had actually been nothing more than a cliché of a middle aged sitcom. Unfortunately, there's no footage of the show online, bar a few brief clips of the opening credits. Therefore, we donned our investigating hat made out of vintage TV Times and headed to the BFI archives. The first thing that surprised us was that, despite appearing to be a warm little sitcom about family life, there was actually a heavy sense of pathos hanging over it. Barry and Gen's marriage is disintegrating rapidly and both know that they're becoming independent. There's a strong scene where they're sorting through discarded objects from over the years and they discover a box of colour slides. They're from a holiday when the kids were young and life was going swimmingly. An argument ensues and Barry ends up slamming the slides down in anger and frustration that their relationship has become so moribund. The same episode sees one of Barry's friends being diagnosed with cancer, another bleak event which forces Barry to evaluate where he's going in life. So, yeah, it's not always cosy, but at least we do get to hear the thoughts of the pet dog every now and then. Although, to be honest, sections featuring the dog do tend to stink. Michael Williams gives a rich performance and shows just how versatile he can be. He is given quite a lot of bleak material to work with and he captures Barry's internal frustrations perfectly. He's also adept with his comic timing and delivers the barbed one liners with ease. 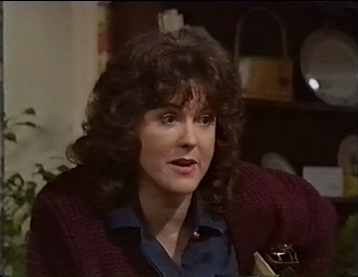 Our overriding memory of Gwen Taylor was of her performance in Barbara - perhaps her most famous role, but a sitcom which we could barely bring ourselves to watch. Conjugal Rites finds her in good form and she plays the sitcom mother/wife/career woman very well. Alan MacNaughton puts in a ripe performance as Grandad which is fun, but the character itself is indistinguishable from any other 'over 70s' sitcom character. Likewise, Stephen Moyer and Cordelia Bugeja are very much trad sitcom children and aren't given too much depth, but they're entertaining performances. Bugeja has kept fairly busy over the years and carved out a constant appearence on the small screen, but it is Moyer who has gone on to greater things. A number of film and TV roles awaited him following Conjugal Rites and he eventually ended up landing one of the main roles in True Blood. We were pleasantly surprised by Conjugal Rites. We can't deny that it's light on laughs, but the driving force behind the show is the tragic state of Gen and Barry's relationship. It's a brave angle to approach with a sitcom and the bleak moments scattered throughout create real sympathy for the characters. In a way, the show feels like a soap opera at times, but this isn't a slight on the world it creates. Everyone can identify with one of the characters and this is perhaps why 10 million viewers would tune in week after week. The Independent's reviews are, in our opinion, a little harsh and paint a bad picture of the show. Nearly 20 years had elapsed since we last sat down to watch an episode, but we still enjoyed it just as much. Thankfully, due to our shady connections, we've managed to nab the first five episodes of Conjugal Rites We would love to get hold of more episodes, so if you're able to help, please get in touch!